What Does Our New Website Offer? Our NEW site is our best ever website! For a start our new website is 'Responsive'. What doe this mean you ask? Well, our website can be viewed on any device that has the internet. It automatically optimises itself to give the best possible viewing experience, automatically scaling images and text to fit the device screen size. 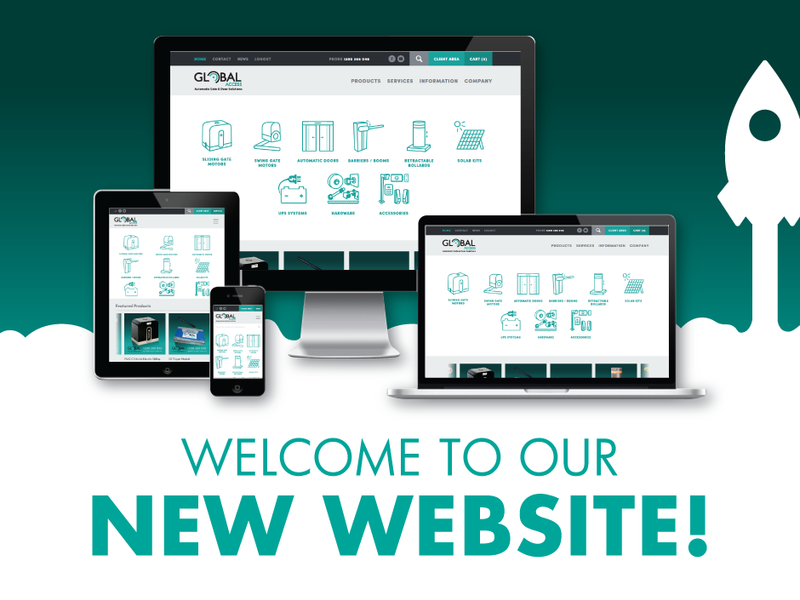 As our website is Responsive, you can use your computer (PC), your tablet and best of all, your smartphone to view our website, this gives you the flexibility to use our website when it suits YOU! Also available will be a growing database of Product Manuals + Product Videos. Exclusive to our Re-sellers is our 'Client Area'. Once you have your unique login details, you will be able to access product pricing, as well as the ability to order product online! Request access to the Client Area by completing this form. Order products when it suits you, like at night or early in the morning, no longer will you need to wait till we're open to call an order. You will have access to exclusive Product Manuals, simple Installation Guides + Videos making it easier to select and install the correct automation for your specific application requirements. Stay up-to-date with our Latest News Articles (Blog), or get a better understanding of our business via our company history or how we are different from our competitors. To view our range of gate motors, please click here.